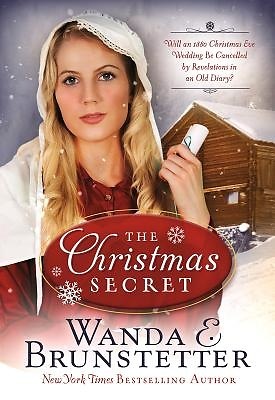 Will an 1880 Christmas Eve Wedding Be Cancelled by Revelations in an Old Diary? Beloved, bestselling author of Amish fiction, Wanda E. Brunstetter tells a heartrending story from 1880 Pennsylvania. Elizabeth Canning discovers an awful secret in her deceased mother's diary. Believing her chances for a happy marriage are spoiled, she leaves her fiance a letter and flees town thinking all hope of a marriage to David is lost. Praying that distance will heal her broken heart, she takes refuge in her grandparents' Pennsylvania home. Anticipating a Christmas Eve wedding with Elizabeth, David Stinner is confused by her letter and desperate to find her. Can David root out the truth about the past and bring back his bride? Or is the truth destined to bring an ultimate end to their romance?